HP OfficeConnect 1400 Series switches that are the best entry level networking devices for a small business looking for a simple unmanaged turn key connectivity solution for their office, branch, or even home network! HP OfficeConnect 1800 Series switches which were made to be the next step up in connectivity for small businesses and offer managed switching options at a much lower total cost of ownership than the industry competition! 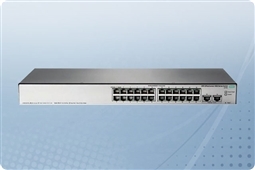 HP OfficeConnect 1900 Series switches are ideal to serve as any small to medium size business connectivity solution for branches and offices in need of more features such as SFP Uplinks, Power Over Ethernet (PoE), and Layer 3 routing capabilities! This makes them an excellent solution for expanding businesses or branches in need of additional features and versatility in their networking devices! 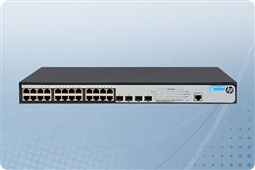 HP Aruba 3810 Series switches are the top of their industry for small to medium size businesses (SMBs), office networks, and smaller enterprises in need of a versatile switching solution to scale up over time with their business! 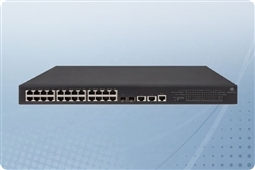 In addition they come with advanced features such Power Over Ethernet (PoE), Layer 3 routing capabilities, stacking, and are all rackmountable to make them a perfect fit whether in the datacenter or networking closet! Aventis Systems is proud to offer our HP Aruba and OfficeConnect 24 Port Switches all with a 1 Year Standard Comprehensive Warranty with upgrades available to Express Next Business Day Parts Replacement or Extended Term Warranties as well as Onsite Hardware Support. So shop our HP Aruba and OfficeConnect 24 Port Switches below and get perfect HP OfficeConnect 1400 Series, 1800 Series, 1900 Series, or Aruba 3810 Series Switch for your business today!